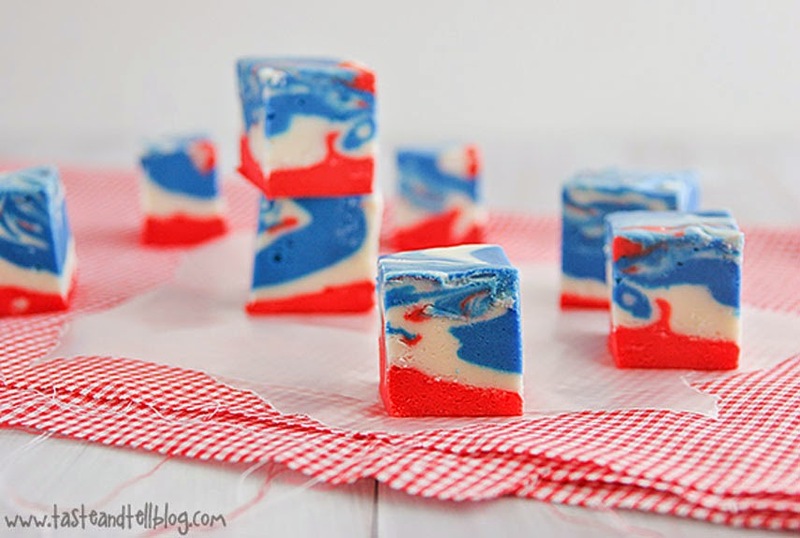 Check out this super fun tie dyed fudge with only 6 simple ingredients. 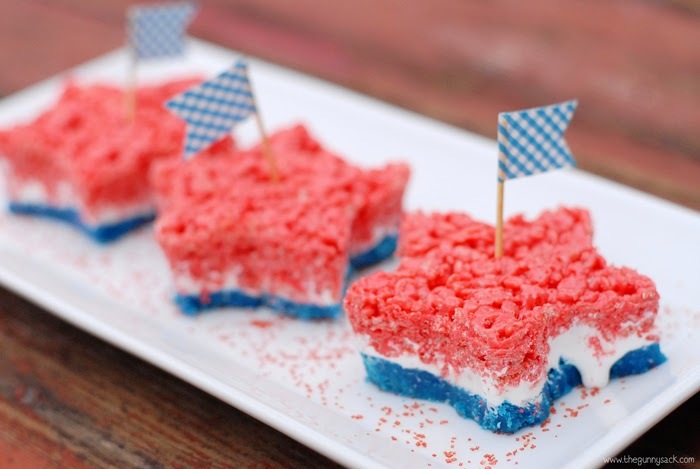 Adorable Red, White and Blue Ooey Gooey bars! 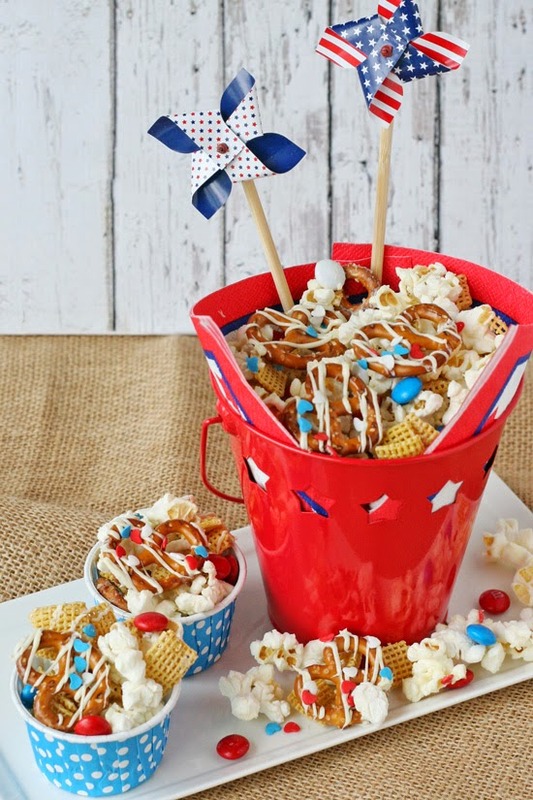 So cute All American Snack Mix! Would make an adorable centerpiece as well! I like to keep all my suggestions on the very simple side and still pretty! I think this one does both very well! Plus, it looks super yummo! 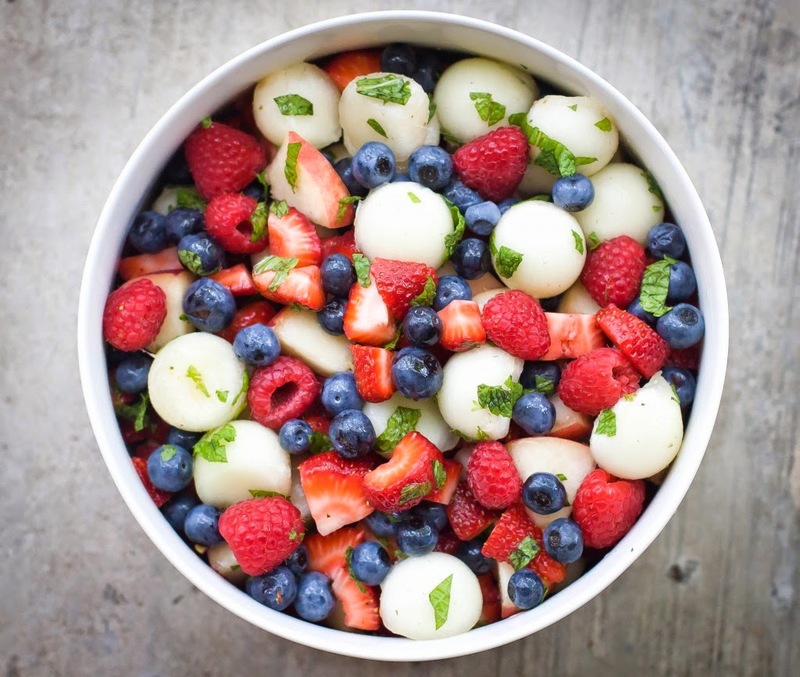 Check out this gorgeous fruit salad for a nice and light treat! 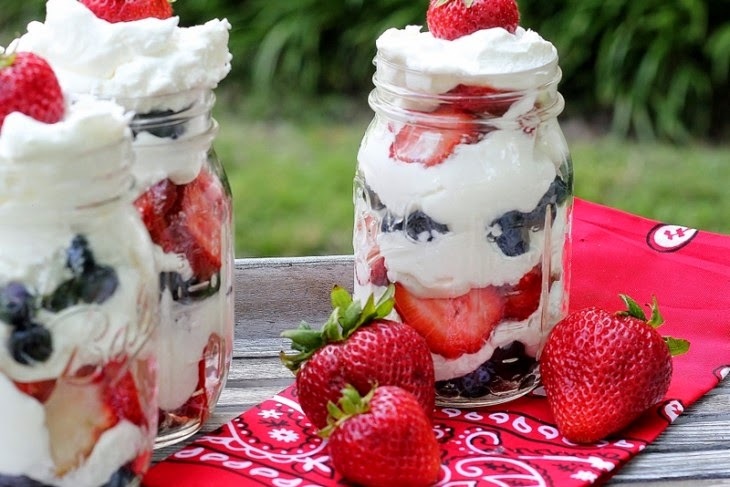 Get recipe over at Linda Wagner. I am so making this one! 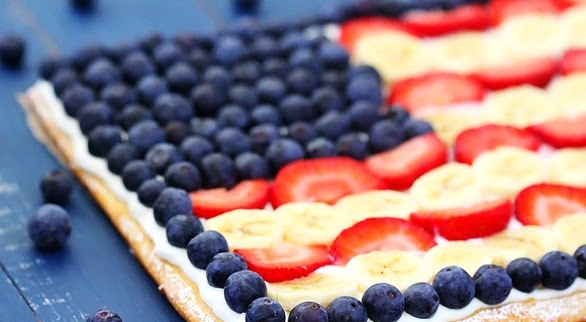 SO GOOD flag fruit pizza! Recipe by Gimme Some Oven. *all photos and recipes credit to linked sites.